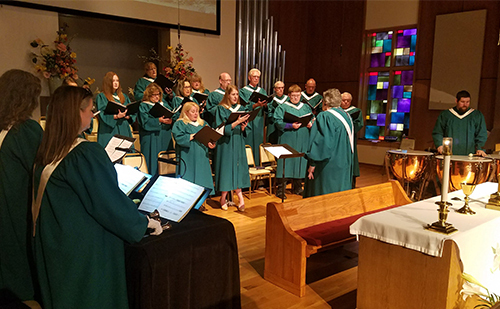 The Sanctuary Choir is our adult church choir that leads worship at the Classic service and presents special services for various seasons of the church year. They rehearse on Wednesday evening at 6:30. Kids Chimes is a beginning choir of children and youth who learn to read music and learn handbell techniques. They rehearse on Wednesday from 5:00 to 5:45. They ring for worship occasionally and for the Christmas and Spring concerts. The Inspiration Ringers is a youth handbell choir who rehearse on Sunday from 4:30 to 6:00 p.m. They ring for worship, for the Christmas and Spring concerts, and have done annual summer choir tours. 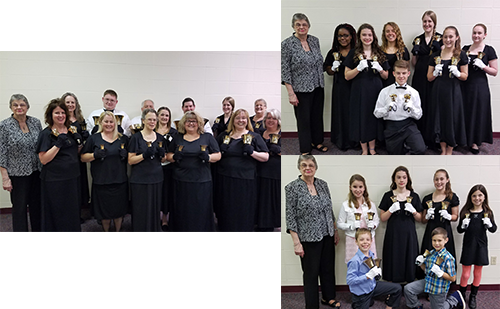 The Chalice Bronze is a group of advanced ringers who lead worship regularly, ring in the Christmas and Spring concerts, and share their music in the community. One Desire is the band that plays at for Soul’d Out, our 10:30 Sunday morning worship service. They lead the singing of a variety of contemporary Christian and popular music. If you want to play or sing in a rockin’ band, we have room. Audition on any Wednesday evening at 6. 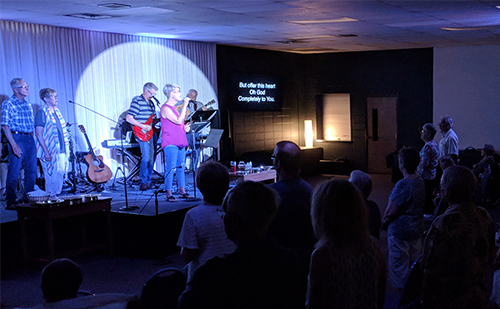 If you make the cut, you’ll need to commit to practice on Wednesday evenings and to worship with the band on Sunday mornings. Get more information by calling the office at 816-353-1708 or shoot us an email at office@raytowncc.org.